I cnsider her more a basic line figure, but I agree she needs redone definitely. Softgoods cape, good or great articulation, an actually separate thermal detonator (Whoever said "hey, let's sculpt it in the hand" needs smacked), and that'd basically make me happy. Of course, the chain (removable) for your VOTC Chewbacca would rock as well. And her rifle, but that goes without saying. Hahah! That's hysterical, my girlfriend did too. I still have it to this day out of guilt, just sitting in my old extras box. I remember feeling like both a complete tool for her realizing I'd like that sort of thing as a gift and a bigger tool for just smiling and saying thanks. I felt very small. Anyway, I was at looking at all those Kashyyk concept shots (and all the Planet of the Apes book rip-off vehicles) and got to thinking that we could get not only a Wook army, but plenty of vehicles to go along. It could be high time post ROTS that we see the Clone Wars line return. More clones, more Wookies, more coolness. I got a Ketwol from my ex one X-Mas... She tried. I know that feeling of figure dejection though. Ohmygosh - after seeing the trailer with all those Wookies I can't wait to get a ton of these guys!!! Oh yeah, I think we're talking Wook army builder 3-packs now! I agree, I can't wait to see those Wookiees on screen, and to build a nice army. Hopefully Hasbro has the same thing in mind, and we see all sorts of wooks on the pegs next year. The way ROTJ SHOULD HAVE BEEN! Here's a pic that shows some of my custom Wookies. Man, I can't believe you guys are rlpping on Snoova. You will all change your tone when you realize that the secret EU character in EP3 is indeed going to be the badass himself...SNOOVA!!! We will all soon learn what Snoova was up to before his bounty hunting ways. Rumor has it that he helps lead the wookies into battle at Kashyyyk against the Seperatist army. All the world will know of Snoova when he jumps out and yells (in his Wookie speak of course) SNOOVA-DOOVA-DO and swings his battle axe weapon at the poor battle droids heads. Lopping them off with ease. This wookie need not rip droids arms out their sockets. Oh no sir. With a mighty hell of SNOOVA-DOOVA-DO and a swing of the battle axe you will KNOW. Oh yes, we will all know the great power that is SNOOVA! 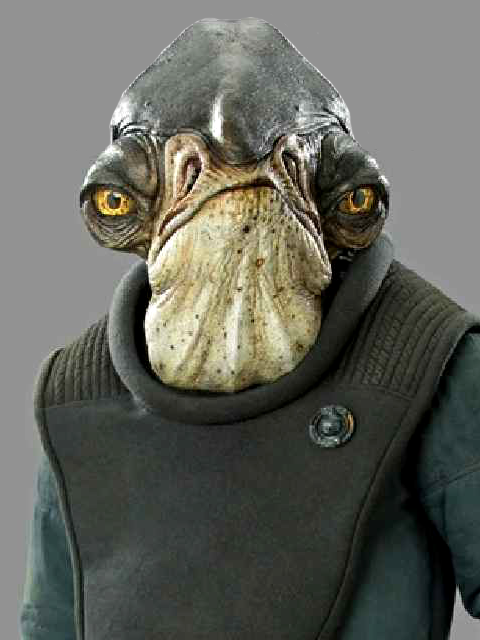 Snoova is not just a great warrior but he's also one heck of a legislative brain on Kashyyyk. It turns out that Snoova was actually elected by his wookie peers to represent them in the senate as a write-in canidate one election year. He instead turned it down and endorsed his good pal Yarua. The wookies agreed Yarua would be a fine representative and received him with open hairy arms. But once again it was Snoova that was in the center of it all. Snoova, he really can doova-do it all. This has been another "Great moments in Wookie history." I'm thinking about making a Snoova custom. If/when it happens I'll post a pic.